Business owners and homeowners have something in common. They both like to make wise financial decisions… that means prudent spending and choices that are quality based and that pay off in the long run. No one likes to spend needlessly, so researching and understanding helps to make correct decisions. Would you like to save up to half of your building expenses? Of course you would if the quality was still good. Would you like ongoing maintenance and utility costs to be lower too? Metal building supplies are the perfect choice for home owners and business owners who want to control their expenses, in the short term, and the long term. From the small amount of material waste during the initial construction phase, to the roofing area and paint application, each lasting 30 years or more, metal provides you with plenty of opportunities to conserve finances. For many years, metal shop buildings have had to sacrifice design for financial saving. The buildings were simply not that attractive to look at, so homeowners and business owners cringed at the thought of building a metal building. Well, times have changed. Metal buildings and netal building supplies have evolved. Some of the most amazing buildings are built with metal and the options are plentiful. You get your choice of building shape, size and color, down to the pitch of the roof and the addition of decorative embellishments. The look of today’s metal building far surpasses structures from the past. Don’t make the mistake of not considering metal… you’ll be overjoyed you took the time to take a look! Let’s face it… buildings take time to build correctly, and that can sometimes dissuade people from making the decision to build. It;s a committment on many levels, but when you build or repair with metal there is a time saving benefit you should consider. Typically metal supplies are manufactured off-site in a “factory” setting which is not prone to weather challenges, meaning that bad weather won’t put your job on hold. They require fewer people too, meaning there are less chances for worker injury or illness to disrupt your schedule. 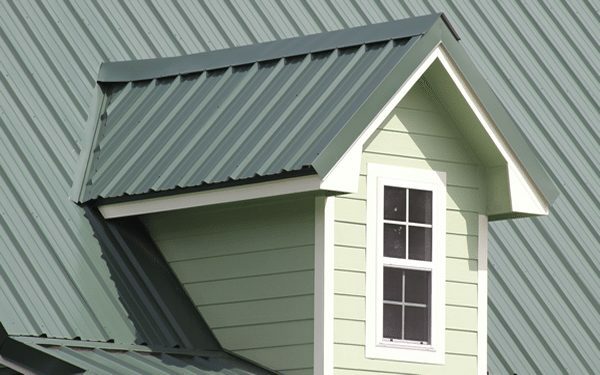 The roof, the paint, the doors, and all of the other elements to your building are faster and easier to install than if you were building with wood or masonry, so make a wise investment when you build or repair… use metal, and call the best… Metal Buidling Supplies in Kissimmee Florida!